Kymera provides both Invasive and Interventional Cardiology Services through coverage at both hospitals in Roswell. Kymera’s Board Certified Cardiologist use industry leading practices and state of the art technology to improve patient outcomes before heart disease is detected and requires treatment. Cardiologists are highly-trained, board certified medical specialists who treat conditions of the heart and circulatory system. Upon completion of their initial four-year medical school, each aspiring cardiologist must spend another three or so years in general internal medicine. Then, they must complete an additional three or so years training in their specialty. Once they have their education and training, the cardiologist must pass a rigorous exam given by the American Board of Internal Medicine. The exam takes two days to complete and is designed to test both the knowledge and judgment of the cardiologist and his or her ability to provide excellent patient care. Their specialty is examining the heart, surrounding tissues, arteries, and veins for abnormalities and disease. Note that although cardiology involves the cardiovascular system, the cardiologist does not work in blood conditions. For blood conditions, see Hematology. Cardiologists are often called in as a specialist when a patient has some other condition being treated. They are also contacted after a patient suffers a heart attack, stroke, or similar ailment. Why Did My Doctor Send Me to a Cardiologist? If your general practitioner has noted formerly unknown heart murmurs or changes in your ECG, they may refer you to a cardiologist. If you have reported shortness of breath, dizzy spells, the feeling of pressure or pain in your chest, or seeming unrelated symptoms, you may get referred. These are all symptoms that someone could be experiencing a heart attack or stroke or may soon. If you have suffered a heart attack or stroke, there is your answer. Your condition requires more than your general medical doctor can provide. You are to see a cardiologist because their job is to help you return to a full and normal life. Cardiologists typically treat persons who have suffered a heart attack or stroke. Their focus is on the circulatory system and heart disease in particular. Because disorders may differ from child to adult, the term Cardiologist generally refers to those who specialize in treating adults. Pediatric cardiologists treat children. What Kind of Tests Can I Expect When Visiting My Cardiologist? Electrocardiogram (ECG), which is a soundwave image to check both the structure and function of your heart. Ambulatory ECG, which is a test to check for abnormal heart rhythms. Cardiac Catheterization, which is a test to see how the heart is functioning, to check the electrical system function, and help ease any blockage present. Exercise Test will study performance and limits. The goal of these tests is to provide your cardiologist with insight regarding what is causing the problem. Is Cardiology Covered by Insurance? Cardiology is covered by all major insurance carriers in New Mexico. Patients, however should check with their Insurance carrier prior to making an appointment. Some insurance policies require a patient to first visit a primary care physician first to obtain a referral to a specialist. It is the responsibility of the patient to make sure their insurance company covers procedures, but Kymera will be happy to assist in any way we can. For questions related to coverage, contact us at (575) 627-9500. Perhaps the most important letters you want to see on the end of your cardiologist’s name are F.A.C.C. FACC is a professional designation which indicates that your cardiologist has been accepted into the American College of Cardiology as a Fellow. The invitation to this organization means that your cardiologist has earned the highest honors based on his or her ability to provide outstanding patient services. Other members of FACC have noticed your cardiologist’s dedication to professional competence and a commitment to excellence in providing cardiovascular care. As fellow members of FACC, these have nominated your cardiologist and he or she was accepted. In other words, those little letters, FACC at the end of your cardiologist’s name mean he or she is among the best of the best. It means, you are in good hands with Kymera. Over half of the deaths due to heart disease in 2015 were in men. 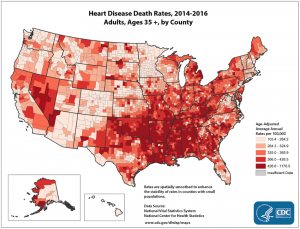 About 630,000 Americans die from heart disease each year—that’s 1 in every 4 deaths. Coronary heart disease is the most common type of heart disease, killing about 366,000 people in 2015. In the United States, someone has a heart attack every 40 seconds. Each minute, more than one person in the United States dies from a heart disease-related event. Heart disease is the leading cause of death for people of most racial/ethnic groups in the United States, including African Americans, Hispanics, and whites. Heart disease costs the United States about $200 billion each year in health care services, medications, and lost productivity. At Kymera Independent Physicians, we pride ourselves on advanced, compassionate care and treatments. We hope we have been able to answer many of your questions about [add department] in general. If you are a patient or considering becoming a patient know that we are happy to answer all your questions to your satisfaction. We know that [insert disease] is frightening and fighting it may seem daunting. But you should know that we are here for you. For more than two decades, we have been helping patients from all walks of life battle and beat [disease]. We can help you too. With convenient [disease] treatment center locations in [locations] Kymera delivers a better healthcare experience. Get in touch today using the numbers listed below if you suspect cancer. The sooner you know, the better the outcome.